Adding CBC to Doccle. Centralize your banking documents on Doccle. Adding CBC to Doccle. Centralize your banking documents on Doccle. Receive, pay and store your banking documents on Doccle. How to add CBC ? Log in to CBC Touch or via the CBC Mobile app. Go to your messages or communication preferences in CBC Touch or the CBC mobile app and choose “Activate Doccle”. 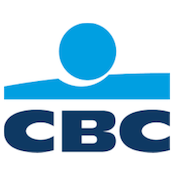 You can continue to consult documents via CBC Touch or CBC Mobile. Your archive is automatically updated on Doccle. Adding CBC as a self-employed person? To activate Doccle as a self-employed person, it is sufficient to register on the CBC Business Dashboard. After you have logged in you can activate Doccle by clicking on the blue button. You can activate Doccle directly from the CBC applications. Log in to CBC and go to your communication preferences to activate Doccle.